Last week the Oireachtas Select Committee on Health met to discuss over 180 amendments to the Health (Regulation of Termination of Pregnancy) Bill 2018. One of the amendments centred on inserting a requirement on the part of the medical practitioner to perform an ultrasound of the pregnant women and subsequently offering her the choice of hearing the foetal heartbeat. 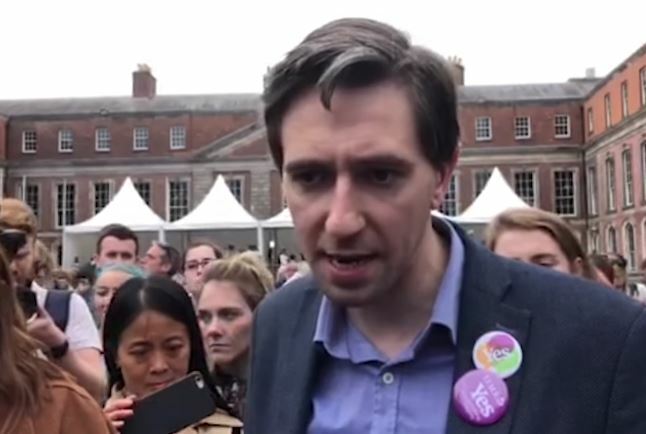 It was categorically rejected by the Minister for Health, Simon Harris, and indeed the entire Committee membership on the rather spurious basis that somehow it was an attempt both to impose an additional level of burden on the woman and to make access to abortion more difficult. The fact that the amendment does not oblige or ‘force’ a pregnant woman to view any ultrasound image or receive any other information relating to the imaging and monitoring performed was conveniently overlooked. The Amárach Survey Findings also found that 74% of those who identified as Yes voters in the recent referendum also agreed with the statement that women should be offered the choice of seeing the ultrasound. The only mandatory aspect of the amendment was its call for an ultrasound to be performed prior to abortion. This is in line with best international practice around the avoidance of threats to the woman’s health in the context of abortion provision. It is also consistent with the advice given by the person who is tasked with coordinating the provision of abortion, Dr Peter Boylan, when he came before the Joint Committee on Health on September 19 to discuss the Clinical Guidelines for the Introduction of Abortion Services. At that Committee meeting Dr Boylan confirmed that although routine pre-termination ultrasound scanning is not mandatory in international guidelines, it is performed in most circumstances where it is readily available, and always if there are concerns about dates or ectopic pregnancy, or if the woman chooses. This is a fundamentally important point since it is a de facto acknowledgement that where concerns on the part of the doctor are present, an ultrasound must be performed as the only prudent and medically safe option to pursue. When points of these types were brought to the attention of Minister Harris and the Committee members, they were dismissed as either irrelevant or obstructive. In these circumstances it is perfectly foreseeable that at some future point the family of some unfortunate woman or minor who has either died or who has been severely damaged by an abortion will be able to point to these statements as proof of gross legislative and medical negligence on the part of the government and the Irish health service. By accepting the amendment the likelihood of such scenarios would have been drastically reduced. What a pity then the Minister chose instead to grandstand his apparent monopoly on compassion and reject it out of hand.